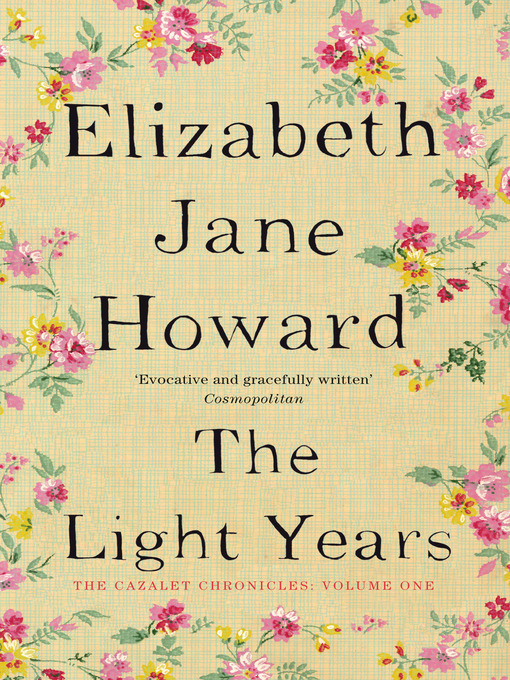 The Light Years is the first in the five part series which chronicles (sorry) various members of the Cazalet family. The Light Years covers the period of 1937-38, in the build up to the Second World War. There is a large cast of characters, the family, with some extended family members and their servants, mistresses and work places. Thankfully there is a list of all the main characters, which I referred to frequently during the early parts of the book. The Light Years is character driven, and Howard narrates the seemingly ordinary events of family life – life in London and holidays in the Sussex country pile (owned by The Brig and Duchy, patriarch and matriarch of the whole clan). Events are relayed through a changing series of voices, as each family member observes the pattern of life, of each other, and themselves. It is an evenly paced book, rich in observation and detail, with little apparent in plot directions or narrative arc. And yet, you keep turning the pages, slowly becoming drawn into this saga. It is absorbing and compelling, partly due to Howard’s choice in structure. With the voices of the children interspersed in with the adults, you are given a layered, and at times, complex view of family and relationships. The Light Years does not shirk away from difficult family issues, even though the tone is one of generations emerging from the confines of a Victorian upbringing. Howard’s writing is delightful, evoking the period through her choice of language – beastly, ghastly, frightfully giving a quaintness to this upper middle class English family. In the family saga, relationships are put under the microscope, with duty at its core of the marriages of the Cazalet brothers (Hugh, Edward and Rupert). There is a sense of class through the place and the relationship between family and servants – even a difference in language. The issue of fidelity is evident in the actions of the ‘dashing’ Edward, and his bored wife, Villy (perhaps my favourite character). The issue of sexual abuse is raised through the experiences of Louise, Edward and Villy’s daughter, and skilfully handled by Howard. There is an underlying theme of feminism, which is where Villy’s reflections and observations are key, but also in the unmarried daughter of The Brig and Duchy, Rachel – who has a non-sexual attachment to her lesbian friend, Sid. The Light Years is a true delight, and you get the feeling that it is laying the ground for greater depths and direction in the following books in the series. I for one, cannot wait to move on through the second one, Marking Time.